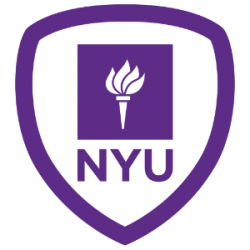 The Social Cognitive & Neural Sciences Lab at New York University, directed by Jon Freeman, is considering applications for a post-doctoral associate starting in Fall 2018. The post-doc will contribute to several programs of research in the lab that span multiple areas within the field of social neuroscience, including person perception, face processing, social categorization and stereotyping, social decision-making, and the interface of visual perception and social cognition. The lab uses a variety of techniques, including functional neuroimaging, real-time behavioral techniques (e.g., mouse-tracking;http://www.mousetracker.org), computational modeling, and electrophysiology to study the mechanisms underlying split-second social perception. More information on the lab's research can be found at http://psych.nyu.edu/freemanlab. The position is designed for a talented and productive researcher with a PhD in psychology, neuroscience, or a related field, who takes innovative approaches to the study of social cognitive processes and their neural basis. This opportunity provides a transition to career independence through the development of professional skills; supervision by a faculty mentor incorporating an individual development plan in support of training goals; and publication of research findings/scholarship during the post-doc appointment period. The position involves conducting research and performing experiments; analyzing data; preparing and presenting reports of research results; and assisting and supervising the work of other lab members. If you have questions, please email Jon Freeman (jon.freeman@nyu.edu).